HoCo Girls Club Lacrosse is pleased to announce a new partnership with WorldStrides Excel to send our teams to Europe for a once-in-a-lifetime international experience. Since 1998, WorldStrides Excel has specialized in creating international sports programs across the globe for club, ODP, and collegiate players. We have chosen WorldStrides Excel as our partner for international travel because of their stellar reputation, safety record, industry leading insurance and liability coverage, and complete operational and logistic support. 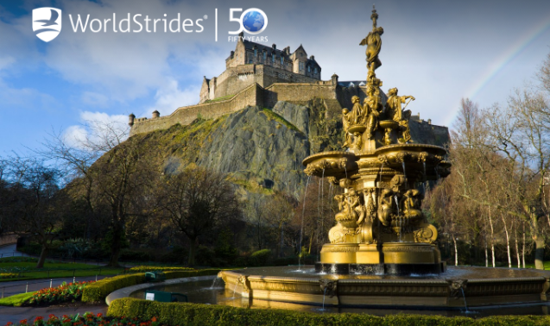 WorldStrides Excel’s mission is to bring people from North America to different countries to participate in the world’s greatest game while breaking down barriers of language, culture, and geography. Recent organizations that have partnered with WorldStrides Excel include Carthage College and Shore Lacrosse Club and many others. An opportunity to travel and play abroad is an excellent chance for lacrosse players to train for a bigger stage, compete against new competition, bond as a team, and learn about a culture different from their own. HoCo Girls Club Lacrosse aims to provide high-level training to benefit and enhance the development of players at all levels. Through international travel, players engage in a level of competition not found in the U.S. as well as learn a different style of play. All tours with WorldStrides Excel will include practice sessions and game play against top local teams. Players will also mingle with their opponents at pre-game and post-game socials, try new foods, see new sights and bond with their teammates. All teams will be traveling from Friday, June 22 – Sunday, July 1, 2018. Don’t let this opportunity to broaden your player’s horizon slip by! Click the itinerary below for a breakdown of the upcoming tour. 2018 tours for players on teams 2020, 2021, 2022, & 2024 will be to Scotland, Wales, and England. ​*Players are not required to travel internationally. Participation is strictly optional and no player will be penalized if they do not take the tour. All international tour costs are the same for players and chaperones. "Excel provided a once in a lifetime opportunity for the girls to play international teams of a high caliber while experiencing another culture and acting as ambassadors for their sport." “I think it was a great experience to play against other international teams to see how they played." “I'm very excited to offer this wonderful opportunity to our players through WorldStrides Excel Programs in keeping with one of our core beliefs that HoCo Girls Club Lacrosse is to provide opportunities to participate at a high levels of competition with participation by both players and coaches in a cost-effective environment for player development. Traveling abroad to play or hosting an exchange here at home has always been a goal of ours since we started HoCo Girls with the notion that we could do our part in growing the game, as well as introduce the girls to different styles of play providing a more enriched (and fun) lacrosse experience."